Ulicni's dress took three months and 23 rolls of Quilted Northern toilet tissue to make. Many fashion designers create wedding dresses from silk, satin or organza, but it takes a special talent to craft a beautiful garment from toilet paper. St. Louis designer Ashley Ulicni has done just that. The 32-year-old Ballwin resident created an ornate, full-sized wedding dress from rolls and rolls of toilet tissue for the 2017 Toilet Paper Wedding Dress Contest presented by Cheap Chic Weddings and Quilted Northern®. Now she may be rewarded for it — Ulicni's dress has been selected as one of the top ten fan favorites, putting her in the running for a five-figure prize. "I rarely win anything," says Ulicni. "Winning this would mean more than anything else could. It would probably be the biggest accomplishment of my life." Ulicni entered the contest last year without success, but says she learned so much from the experience that she felt she had to try again. She toiled for three months with glue, adornments, a sewing machine and 23 rolls of Quilted Northern. That's something like 4,048 sheets of 2-ply tissue. "I individually cut out everything on that dress and glued it all together. It's very, very time consuming because there are, like, seven steps in just making one piece," Ulicni explains. "The construction is better than last year, and I like my design a lot better. I'm hoping the details catch people's eye." 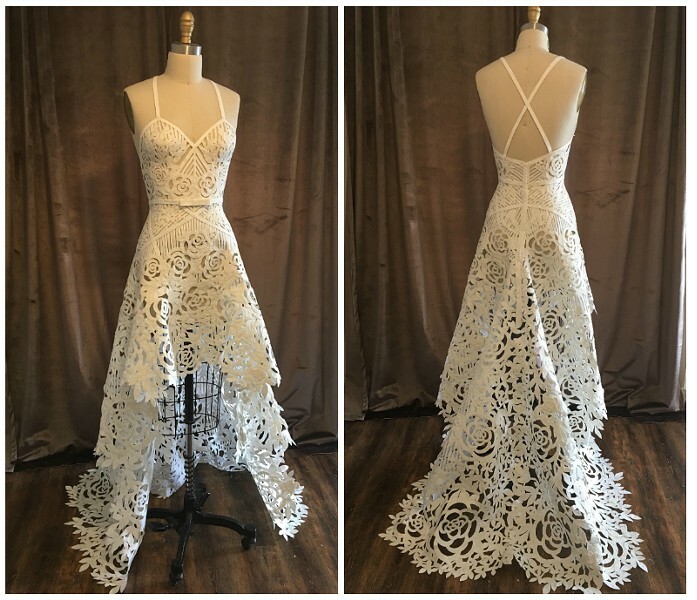 St. Louis designer Ashley Ulicni's ornate, handmade toilet paper wedding dress may win a national contest — with your help. Ulicni, who studied at the Fashion Institute of Design and Merchandising in Los Angeles, has recently been dipping back into the fashion world after pursuing other interests for several years. 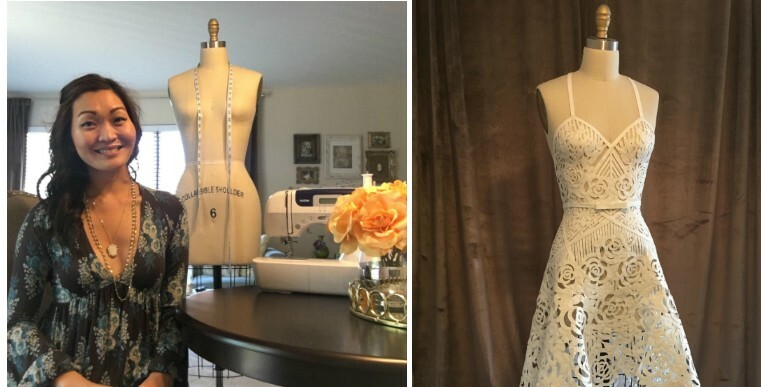 She says she felt compelled to make something that the average person wouldn't attempt, and she's been inspired by a variety of bridal designers. "I love lace and I actually have an obsession with scissors and cutting things out, so I just thought, 'Oh, I'll just cut out the entire dress,'" Ulicni chuckles. Ulicni will find out if she's won the fan favorite category later this year during a New York City fashion show where a model will wear her dress on the runway. The winner will receive $10,000, plus the chosen dress will be displayed in a Ripley's Believe It Or Not museum. Fans can vote daily for Ulicni's design — labeled as "Ashley U." — on the 2017 Toilet Paper Wedding Dress Contest page through July 20.